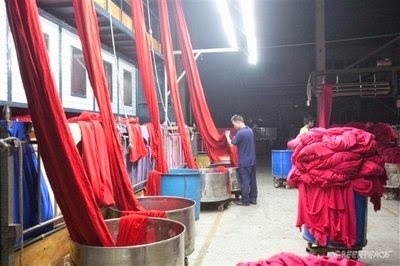 The process is applied on textile in form of liquid with involves some for chemical action on the textile is called wet processing. Wet processing is one of the major streams in textile engineering refers to textile chemical processing. Normally wet processing includes desizing, scouring, bleaching, dyeing, printing and finishing etc. This is the most widely used wet processing flowchart on the contemporary textile industry. But sometimes on some factories the scouring and bleaching is done simultaneously.